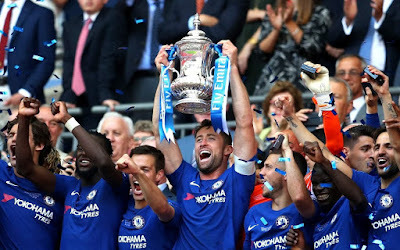 This is the kind of day by which Antonio Conte will like to remember his time at Chelsea, if indeed it is to end after two seasons and two major trophies, in the sunshine with a Cup in his hand and his old enemy Jose Mourinho wondering how easily he let a final slip away from him. Both men have had the great advantage of managing Eden Hazard and both have seemed to disapprove at times of the mercurial Belgian and his rare unpredictable talent but on this day there was no questioning the great quality of Chelsea’s No 10. As he ran away from Phil Jones trailing the Englishman like an old rig pursuing a sail boat in a breezy bay, one wondered what he might to do England too, when Belgium meet them in Kaliningrad in the World Cup next month. This was not a great final but you were left with the impression that Hazard remains a great player in an era when what it means to be the best has been taken to new levels by the two stars of the Spanish game. He stroked in the 22nd minute penalty that decided the game as if he were posting his neighbour’s mail, and although United got to grips with him better in the second half the damage was already done. There were other fine performances in the Chelsea shirts, from Thibaut Courtois in particular when United burst into life in the second half. 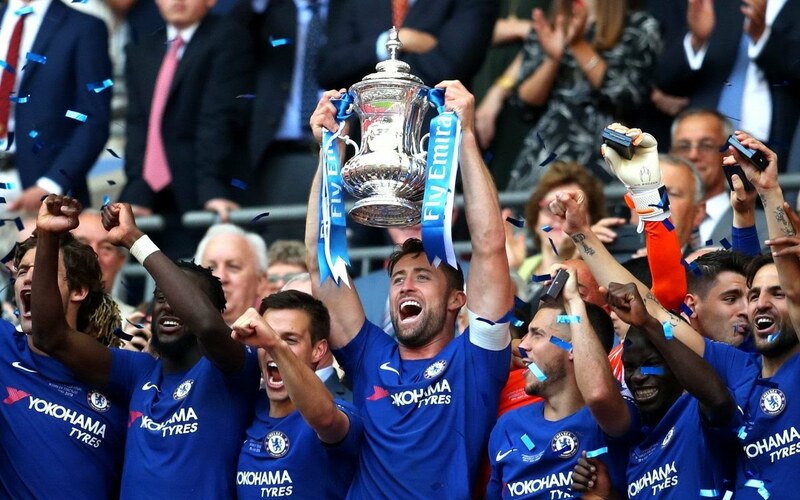 It was a good day for the likes of Gary Cahill and Antonio Rudiger but it was not United as they like to imagine themselves at Wembley. They had 70 minutes including stoppage time to reel in Chelsea and they failed miserably, ending the game as they began it, with no real flair in attack. When the last corner sailed straight into Courtois’ gloves, Alexis Sanchez ripped off strapping and threw it to the turf in frustration. It is a season without a trophy for Mourinho, and a very dull note on which to sign off for the summer. Conte on the other hand has his second major English honour and the eighth FA Cup of Chelsea’s history, lifting them above Liverpool on seven to draw level with Tottenham Hotspur in third on the same total.